Your trading platform may be critical to your investing strategy. 3. Are Roth IRA Startup Expenses Tax Deductible? Most small or individual investors invest through their mutual fund company, 401(k) provider, brokerage firm or financial planner. However, if you trade more actively, perhaps daily or hourly, investing through “traditional” means would be too time-consuming. For expediency, data access and quantitative analysis tools, you likely use a trading platform for your trades. You can deduct your trading platform fees as investment-related expenses, but you must itemize. 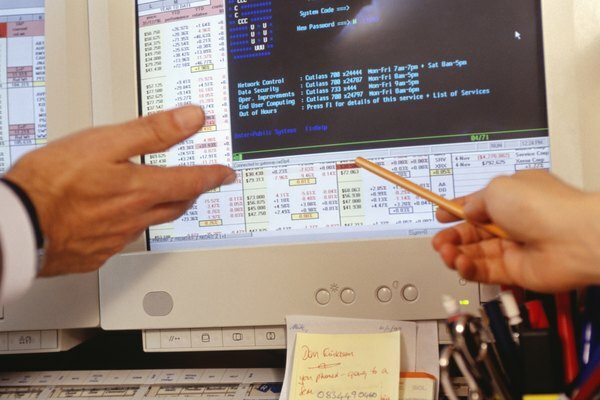 Trading platforms are computer or software programs that traders use to process transactions for all types of instruments including currencies, commodities, stocks, bonds and options. Trading platforms typically provide you with a variety of services, including moment-to-moment news updates which could impact trading, built-in quantitative analysis tools and trading strategy memorization tools. As an active trader, your individual investor-targeted brokerage firm may offer trading platforms to you at a reduced cost to encourage trading. Investment expenses include fees you pay for investment advice or counsel. The advice can be verbal or written. Therefore, investment expenses include fees you pay for financial investment blog or online radio subscriptions, financial newspaper and magazine subscriptions you may have, and any fees that you pay to a financial planner. Investment expenses also include online software, services or packaged software you use to trade or otherwise manage your investments. Your trading platform costs fall into this latter investment expense sub-category. The Internal Revenue Service considers investment expenses a miscellaneous expense. You must include your trading platform fees in your itemized expenses on Schedule A of your federal tax return. The IRS generally limits miscellaneous itemized deductions to only those amounts that exceed two percent of your adjusted gross income. In trading terminology, this means that you have a floor below which you cannot deduct any miscellaneous expenses. You can maximize your deductions in this category and increase the likelihood that you can deduct all or a portion of your trading fees by tracking all other eligible miscellaneous expenses, including unreimbursed business expenses. On your tax return, your adjusted gross income is $120,000. Two percent of your AGI equals $2,400, your miscellaneous expense AGI threshold. Any amounts that equal or are less than $2,400, you cannot deduct from your taxable income, while you can deduct amounts that exceed this threshold. You have $3,500 in miscellaneous expenses including your trading platform fees. You can deduct $1,100 – which equals $3,500 minus $2,400 – from your taxable income. In other words, $1,100 is the amount by which your miscellaneous expenses exceeded the two percent threshold.